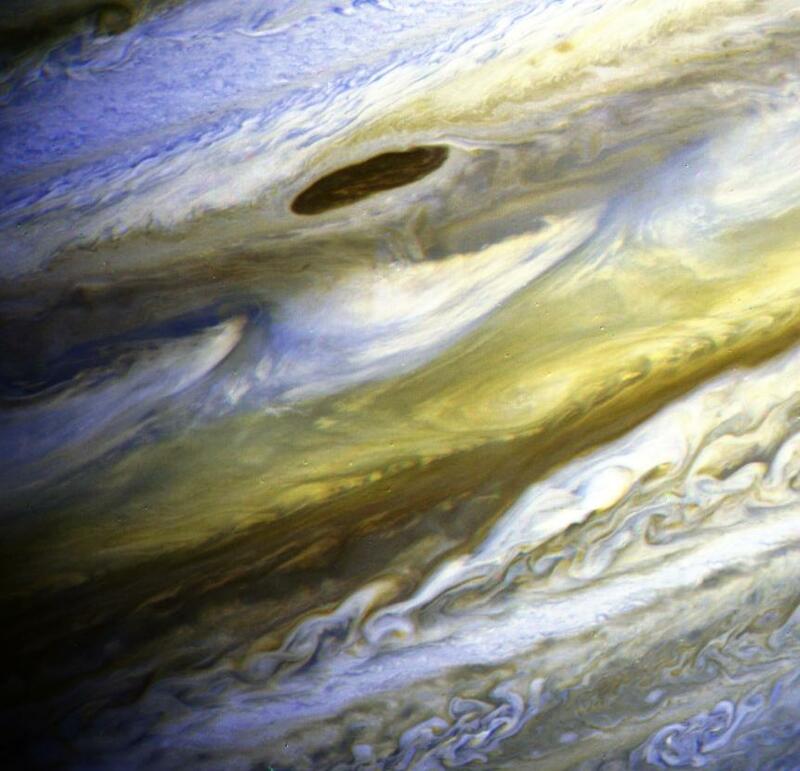 This special color composite made from Voyager 2 narrow-angle frames taken on June 28, 1979, has been processed to exaggerate color differences within the naturally colorful Jovian atmosphere. Such processing makes detailed structure in the clouds more apparent. The dark belt across the upper portion of the photograph is the North Equatorial Belt. One of the largest of the long-lived dark features found along the northern edge of this belt is seen in the upper middle of the photograph. Jupiter's Equatorial Zone, which lies across the middle of the photograph, is characterized by a series of wisp-like plume features. The northern bluish edges of these plumes are thought to lie within deeper, warmer levels of the atmosphere. 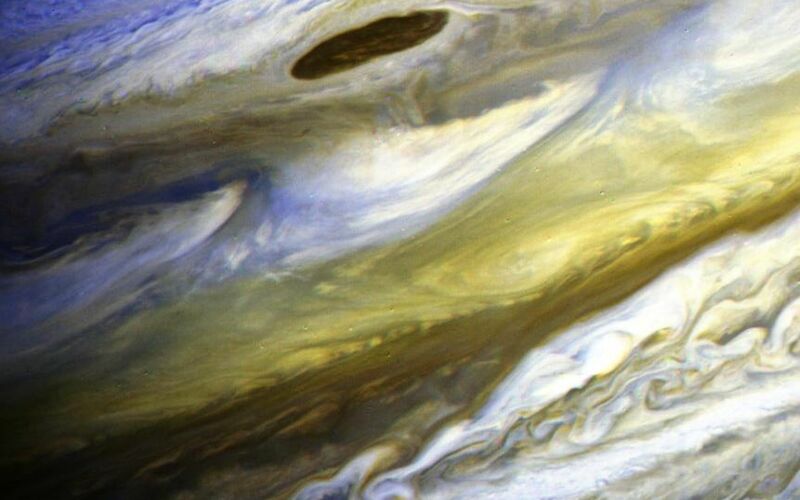 South of the Equatorial Zone lies the chaotic region of whiter clouds found west of the Great Red Spot. 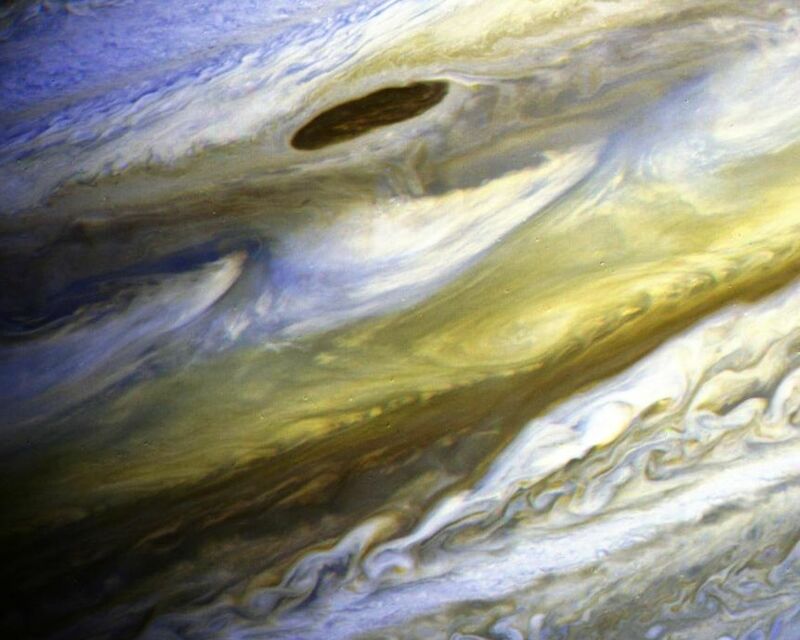 kilometers (6.4 million miles) from Jupiter. The smallest features visible in this photograph are about 190 kilometers (119 miles) across.